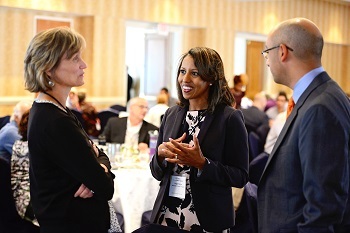 Community Development & the Social Determinants of Health was held August 30 in Cleveland, Ohio to explore how the community development and health fields can partner to improve health, increase prosperity and build better places. It was sponsored by the New Venture Fund with support from the Robert Wood Johnson Foundation and LISC. The health and wellness sector is adjusting to new research, knowledge, and regulation, shifting the sands beneath their feet. Community developers are ripe and ready for partnership models aimed at improving lives by developing better places. Do neighborhoods have access to healthy food? Is the neighborhood walkable? Are homes of high quality? Are community supports in place? If zip code has a greater impact on health than genetic code, then improving public health requires direct health system engagement in the "zip code improvement business." And as we know, zip code improvement is the business of community development. 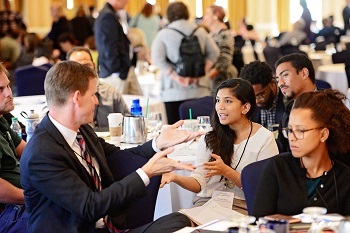 With leadership from government, philanthropy, and institutional and community leaders, the health, wellness, and community development fields are learning they can accomplish more together than they can apart. Of course, while our goals are aligned, our approaches and language differ. The NACEDA Health Symposium sponsored by the New Venture Fund with support from the Robert Wood Johnson Foundation will explore unique opportunities and challenges presented by health and community development partnerships; the levers of power and influence across sectors; and how the systems of influence across these two fields align to improve health, increase prosperity, and build better places. Community developers improve the health of families and individuals by providing healthy homes, access to fresh food, stress-free environments, and more. Health practitioners strengthen communities through education, home care, behavioral interventions, and more. Today these two broad fields are becoming increasingly aware of each other’s work, learning how to align their strengths and goals, and partnering to leverage their effectiveness. But partnerships are hard. Unique lexicons, work styles, timelines, and goals have to be learned. Measurements and analyses have to be aligned. And how the capacities of one can complement the other has to be understood by both. In this session you’ll hear about partnerships at different stages of maturity and learn how each partner became aware of the other, aligned their goals, and developed their activities. Discuss with them your concerns, questions, and hopes for these new opportunities. When meeting with a decision-maker with an ask, what works? What doesn’t? What do they wish you knew before you came into the meeting with them? And if you are a decision-maker, what attracts you to some partners and not others? 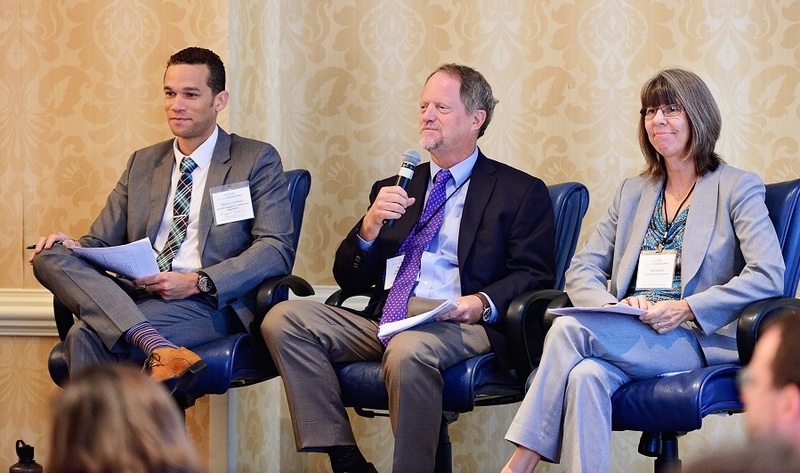 This panel discussion allowed participants to hear the perspectives of decision-makers from a bank, a hospital, a Community Development Corporation (CDC), and a Community Development Finance Institution (CDFI) that have been approached with an “ask” and what they think you should know. We explored the "dos" and "don'ts" of pitching partnerships between community development and health care organizations during this fun role-playing session.